In 1949, the Volvo PV445 was released as a chassis for the production of small trucks and vans. In addition, a number of convertibles were built on this chassis. This chassis was based on basically the same technical components as the PV444, but its unitary body was not thought to be suitable for the purpose and a separate chassis was therefore developed. The rear-wheel suspension featured leaf springs to enable it to support greater loads. The front part of the body was also carried over from the PV444. However, all the independent body-builders who produced the remainder of the car did so in different ways. 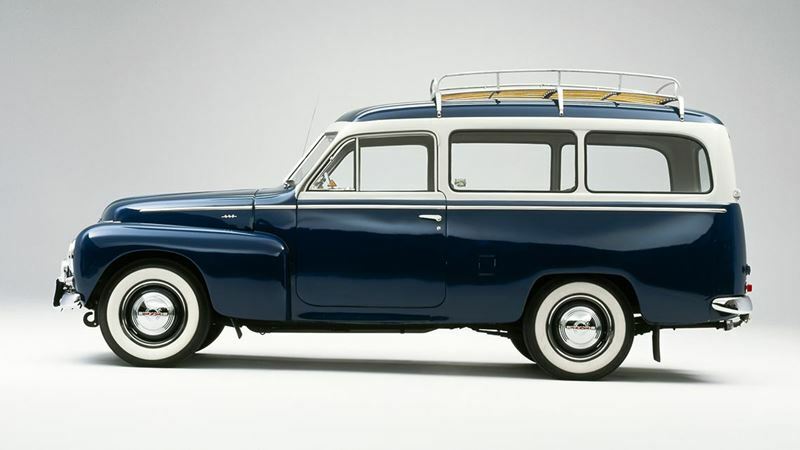 1953 saw the introduction of Volvo's own van and estate car based on this chassis, the Duett. This car quickly became extremely popular among small businessmen and craftsmen, primarily as a result of its strength and load-carrying capacity. From the beginning, all the PV445s had a 4-cylinder engine with an output of 44 bhp. In 1956, output was increased to 51 bhp. In the summer of 1957, the PV445 was given an entirely new 4-cylinder engine developing 60 bhp. Total length 440 cm/173", wheelbase 260 cm/102.4"